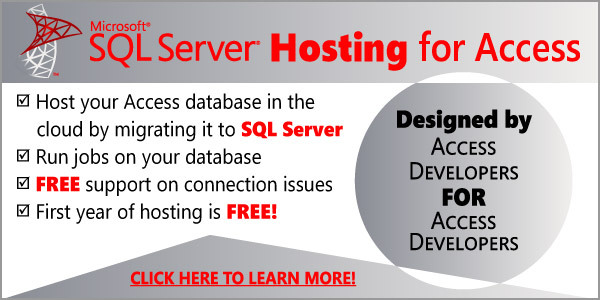 When we design Access with SQL Server solutions we almost always add CreatedBy and CreatedOn to all of our tables, allowing our clients to see who created records in the Access frontend. The script is reading from tblTablePermissions which is just a list of SQL Server tables used by the application. We use the table in our DSNless technique. Once you have executed the script SQL Server will automatically date stamp and place the user’s network name in the CreatedBy field, allowing you to create analysis on how many new records were added to the database and by who over time. Juan, if I were to use your sample code would I need the “Apple-converted-space” markup statements or is that just an artifact that your code editor put in that I can ignore?